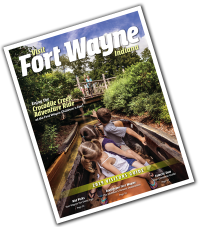 FORT WAYNE, IN - Visit Fort Wayne and the Fort Wayne Männerchor/Damenchor are pleased to be hosting the 63rd Sängerfest - and their grand concert is open to the public. A celebration of the deep roots of German Heritage in Fort Wayne, the Fort Wayne Männerchor/Damenchor are hosting their region of the National Nord-Amerikanischer Sängerbund (North American Singers Association). Known as the SOKII district, it is comprised of more than a dozen German choral groups from southern Ohio, Kentucky, Illinois, and Indiana. They gather once every year for Sängerfest - a weekend of essen, trinken, und gemütchlikeit. The conference will take place on Friday and Saturday, and the 6:30-9:00 pm singing performance will be open and free to the public. It will be held at IPFW&apos;s Rhinehart Music Center. For more information, visit www.fortwaynemaennerchor.us or contact Klemens Zumbraegel at (260) 747-4807.